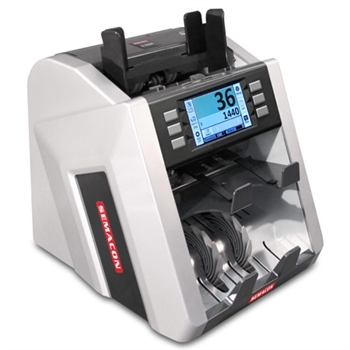 Direct from the Manufacturer — ”New Office Machines & Supplies at Low Prices! Shop Factory Express for quality service and discount prices on office supplies, paper shredders, laminators, binding machines, paper cutters, paper folding machines, office furniture, shrink wrap, office mailing equipment, paper handling machines, office equipment, office supplies, office furniture, office technology solutions and a huge selection of binding and laminating supplies. We guarantee our prices and your satisfaction! If you see a better price, call us. Our friendly knowledgeable experts are here to serve you with more than 40 years combined experience. At Factory Express our commitment to you is: "We will help you get the right business equipment at the right price for you to get the job done right." Call today and ask about our low price guarantee! Our office equipment experts are available to serve you from 8:00 am to 4:30 pm, Mountain Standard Time (MST). Or use our easy on-line shopping cart 24 hours per day, 7 days a week for fast, convenient service. Paper Shredders: We carry the best paper shredders to help keep your information confidential and safe in your home, office, or business. Choose from an enormous selection of home paper shredders, industrial paper shredders, government paper shredders, office paper shredders, multimedia shredders, heavy-duty shredders, and commercial paper shredders. We carry discount paper shredders from the best manufacturers in the industry: Fellowes, Intimus, GBC, SEM, Dahle, Kobra - just to name a few, as well as accessories, bags, and oil for all types of shredders. Safes: Protect cash, valuables, guns and documents from fire, water, and theft with a safe from the industries top manufacturers, such as Honeywell safes, Sentry safes, Stack-On safes, Mesa Safes, among others. 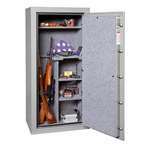 You will find home safes, money safes, gun safes, fireproof safes, waterproof safes, safety boxes, vaults and more! Paper Cutters: Top manual paper cutters and electric paper cutters, rotary trimmers, guillotine paper cutters, paper trimmers, business card cutters, corner rounders, perforators and scoring machines by Martin Yale, Premier, Dahle, Carl, Rotatrim, Keencut, Fellowes, Ledco, Akiles, DocuGem, MBM Kutrimmer®, Triumph and more! Laminators and Laminating Supplies: We offer the greatest selection from the industry leaders: Fellowes laminating machines, GBC laminators, Royal Sovereign laminators, and Banner American laminators- to name a few first-rate brands. Read our Laminator Buying Guide for help in choosing a high-quality, affordable laminator from Factory Express' large inventory that will suit your needs. Factory Express has a laminating machine for every application: cold laminators for heat-sensitive applications, hot laminators for all uses, home laminators for personal use, school laminators for educational institutes, wide-format laminating machines, roll laminators, and pouch laminators. We also offer an incredible selection of laminating accessories, including laminating pouches and pouch accessories, laminating film, mount boards, GBC SelfSeal™ Pouches, as well as cleaning supplies for you laminator to keep it at peak performance. If you need assistance with choosing the appropriate laminating supplies, please read our helpful article: How To Choose The Right Laminating Film and Supplies. Binding Machines and Supplies: Best prices for your binding solutions: Velobind®, thermal binding, coil binding, glue binding, tape binding, perfect binding and comb binding, plus booklet makers and binding supplies by GBC, DocuGem, ISP, Duplo, Martin Yale, MBM, Fellowes, Akiles, Rhin-O-Tuff ® by PDI, Standard & more. All major brand plastic coil or spiral binding, plastic comb binding, 19 ring, wire binding, VeloBindÂ® strips, thermal binding covers, Accubind™ strips and book binding tape. Discount Office Supplies: Find all the office supplies you need every day at low discount prices - paper, pens, staples, office storage, desktop accessories, folders, binders, labels, envelopes, forms, filing supplies & more! Factory Express is excited to be able to bring you this complete line of top brand office supplies. And Yes! We still have the best selection of quality laminating pouches, laminating film, binding supplies, including binding combs, coil, spiral and wire binding, shrink wrap film and bags. Office Furniture: Save on office furniture, including desks, chairs, bookcases, file cabinets, tables, carts & stands, office decor, panel systems & more! Office Technology: Factory Express is your one stop office technology supplier with a large selection of computer networking, communication, power & backup, computer drives and media products, as well as a wide selection of computer accessories. Paper Folding Machines: The best letter folders, manual paper folders, automatic letter folding machines, air feed folders, right angle paper folding machines, folder inserters and folder sealers by Martin Yale, Formax, Dahle, MBM, Standard, Dynafold, Duplo & more. Packaging & Shipping / Shrink Wrap: Package a wide variety of products like DVDs, CDs, gift baskets and vacuum seal food with quality shrink wrap film, shrink bags and quality shrink wrap machines like heat sealers, carton sealing equipment, bagging machines and more from Factory Express. Money Handling: Automate your currency handling- money counting, sorting, bagging processes with currency counters, bill counters, counterfeit detecters, coin scales, coin sorters and coin wrappers from Duplo, Formax, Royal Sovereign, Klopp, Ribao, and more. Time Clocks: Find top brand time clocks, biometric time clocks with fingerprint scanning and hand-geometry recognition; as well as electronic time clocks, employee time clocks and payroll time clocks.